Have You Heard The Great News About Tallahassee FHA Streamline Refinance? Changes have been made by the Federal Housing Administration (FHA) that are going to have an immediately wonderful impact on people who want to do a Tallahassee FHA streamline refinance. You see, the FHA has found itself in a bad position, and perhaps it feels that best way to protect itself is to to do a little more of "what got us here in the first place." So what the heck is this all about and who could need or want a Tallahassee FHA streamline refinance? 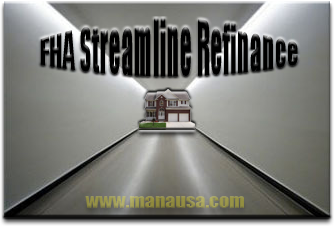 A Tallahassee FHA streamline refinance is simply a way for people who have FHA loans to lower their interest rate and payment amounts. The mortgage to be refinanced should be current (no late payments going back 12 months). And the good news only gets better! There are no credit checks, no property appraisals, no income verifications, etc. If you have a house with an FHA loan, you qualify! The the FHA has already guaranteed a lender that you will repay the loan. It's in their best interest to make it easier for you to do so! So even if you own 100% more on the home than it is worth (with an FHA loan), and you've lost your job, and your credit score is 500, ... you still qualify. Why? With today's historic low interest rates, the time is right for FHA financed homeowners to consider this as a long-term option for owning the home. That means you should immediately talk to a trusted Tallahassee mortgage broker to do a Tallahassee FHA streamline refinance and see how much savings you can gain.